Posted on October 24, 2012 by Dayna B. Recently, I had done some reflection on how I got here. My life has been an amazing journey and, in large part, I have the military to thank for that. It has been seven years since I separated from the army. In those seven years, I am ashamed to report, I have done very little (ok, let’s be honest….nothing) to support the troops that are still serving our country. How could I let this happen? I, of all people, should have remembered how meaningful it was to receive letters and care packages from people that I had never even met before. People that just wanted to do something…anything…to remind the troops that they were in their thoughts and not forgotten. But then, I had forgotten. 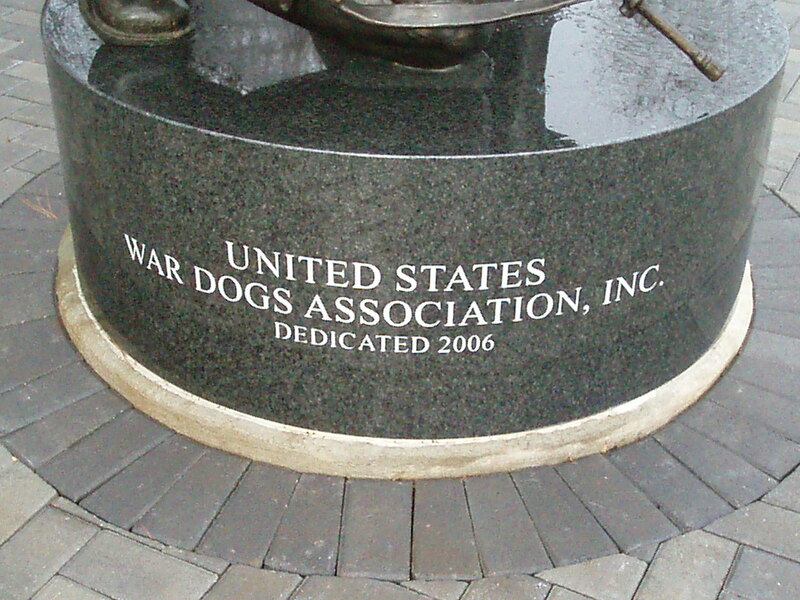 While deployed to Iraq in 2004, I had been in contact with Ron Aiello of the United States War Dog Association because I was very excited about the upcoming unveiling of a war dog memorial in New Jersey (my home state). Shortly thereafter, several citizens had contacted Ron to find out what they could do to help support the troops and their K-9 counterparts. Since Ron knew my contact information, he shared it with those that wanted to help. The support we received was overwhelming. 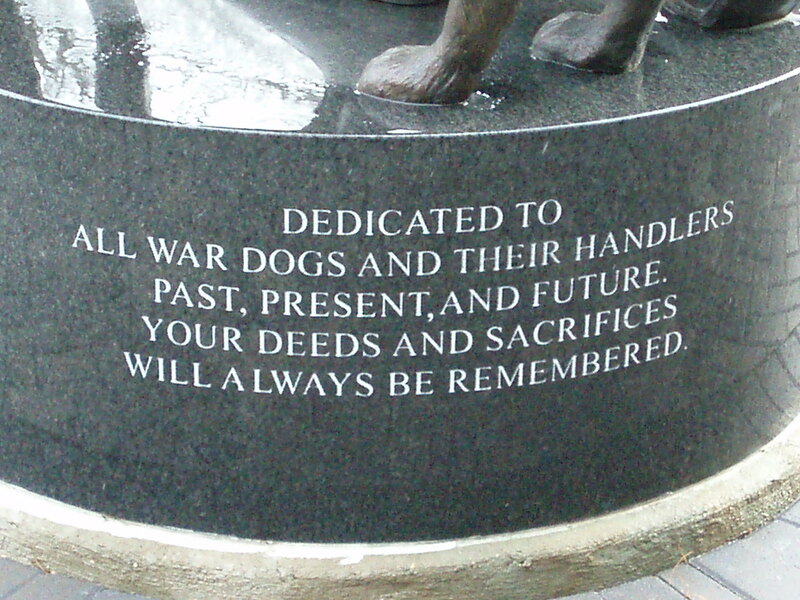 They sent us care packages filled with human and canine goodies, they wrote heartfelt letters, and they hung up pictures in their offices of us with our dogs to remind them of our daily sacrifices during their typical day-to-day routines. They did all of this without us even asking for their support and it truly meant a great deal to me at the time. Nowadays, it is even easier to reach out to deployed soldiers to let them know you care about and support them. There are soldier adoption programs through non-profit organizations like Soldiers’ Angels and Adopt a US Soldier. I was recently inspired by Gina to start making up for the past seven years. I served my country with pride, but there is still more that I can do. More that I should do. I am happy to report that I have adopted 2 soldiers (one through each organization listed above) and I am committed to making up for lost time. I can only hope that my words of appreciation, encouragement and support will mean as much to them as my supporters’ words meant to me. Hopefully I have inspired you to make a difference as well. There are currently soldiers on a waitlist to be adopted, so I applaud you if are willing to donate your time to show that you care. However, please be aware there is an actual commitment involved with these adoptions. People wishing to adopt a soldier are expected to write at least one letter per week and send at least one care package per month. If that seems like too much for you, adoption might not be a good fit. But there are plenty of other ways you can make a difference. Even if it is only a one-time gesture, I can tell you from personal experience, it will mean the world to these amazing troops! Posted on October 17, 2012 by Dayna B. Everyone knows that I love a great travel deal, and you can never beat FREE! Enter this contest to win a trip to the Atlantis resort in the Bahamas for 10 people! – 10 free air tickets compliments of Copa Airlines. Enjoy a flight like no other! – Enjoy 6 days and 5 nights of incredible luxury in the Bahamas compliments of the Royal Towers of the Atlantis Hotel. – Travel to and from the airports in ultimate luxury. – Enjoy an unparalleled experience when swimming with dolphins in their habitat. – Complimentary meals included for all throughout your stay. A tasty culinary experience! Have you ever taken a moment to consider how you got to where you are in life? I mean really thought about it? Most people would probably say that the path their life has taken was the result of many choices they made throughout their lives. People are forced to make decisions on a daily basis and many times, those decisions have the potential to alter the trajectory of their lives. After recently reflecting on my own life, I came to the conclusion that my journey was hinged on one single decision. Of course there have been a multitude of miniscule day-to-day decisions that made my life zig instead of zag, but I realized there was one decision that was so impactful that the others almost seem inconsequential. The idea of it made me take a step back to consider what my life might have been like had I not made that decision. And the truth is, I don’t have the faintest idea! Making that decision has changed my path in such a way that I cannot even fathom what the alternative would have been. When I was 18 years old, I joined the military. I know what you are thinking….so what, lots of 18 year olds join the military. But throughout my 18 years of existence, the thought of joining the military had literally never crossed my mind. And it probably never would have if it weren’t for one chance encounter. I was recruited at a pool hall! Let me paint the picture for you. I graduated high school the previous year, but college did not seem to be a likely prospect for me. I was renting a room in someone’s basement (and prior to that I had spent some time living in my car) and I was working long hours as a waitress at a diner. It’s not that I didn’t want to go to college, it just didn’t seem feasible at the time. Whenever I wasn’t working or sleeping, you could probably find me at Cue Time, the local pool hall. Shooting pool was my favorite thing in the world and you could literally find me at Cue Time 365 days a year (yes, they were even open on Christmas!). I had been playing there for several years and at the time I was even good enough to compete in tournaments. There was a group of regulars there that become more like family than friends to me, especially the owner Frank. While my life didn’t have much direction, I was content because my pool hall family always watched out for me. Then one day I was playing pool, minding my own business, when the woman at the table next to me started chatting me up. Her name was Sgt. 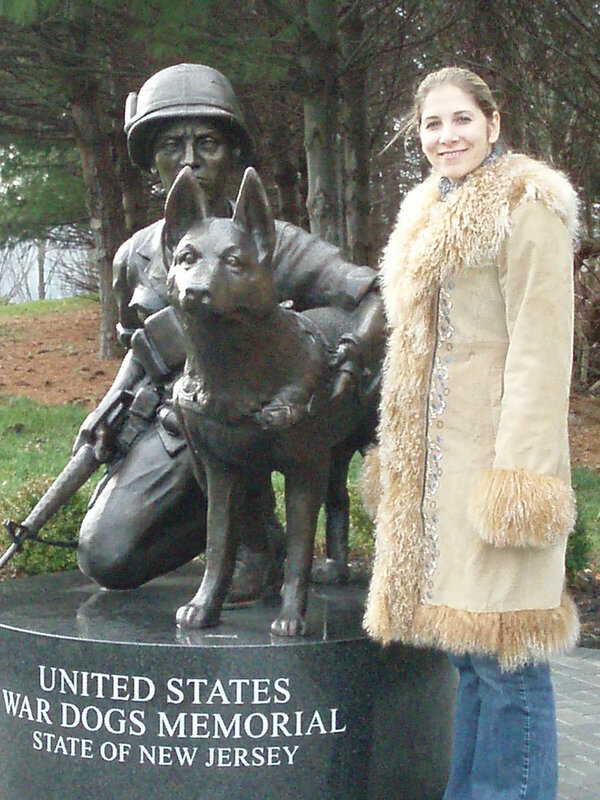 Silver and she was a recruiter for the army. After a few minutes of chit chat she asked me if I had ever considered joining the army as means to pay for college. I actually laughed in her face! The idea of me joining the military just seemed so preposterous at the time. But she went on and on about all of the benefits and all of a sudden, the idea seemed less crazy. She gave me her card and suggested I think about it. I gave it some serious thought and the more I did, the more it just seemed to make sense. I didn’t want to work as a waitress at a diner for the rest of my life. And I didn’t have some crazy pipe dream about becoming a professional pool player someday (I was young, not stupid). I knew I wanted to go to college, I knew I wanted to travel, and I knew I had more potential than I was letting myself believe. This list is by no means exhaustive. Joining the military has led to so many things that I am extremely proud of. I am honored to have served our country, but I am also extremely grateful for all of the opportunities it provided for me, as well as the path that was set for where I am today. I hope to share more with you about those incredible 9 years. Posted on October 16, 2012 by Dayna B. Posted on October 14, 2012 by Dayna B. For as long as I can remember, I always wanted to go sky diving! 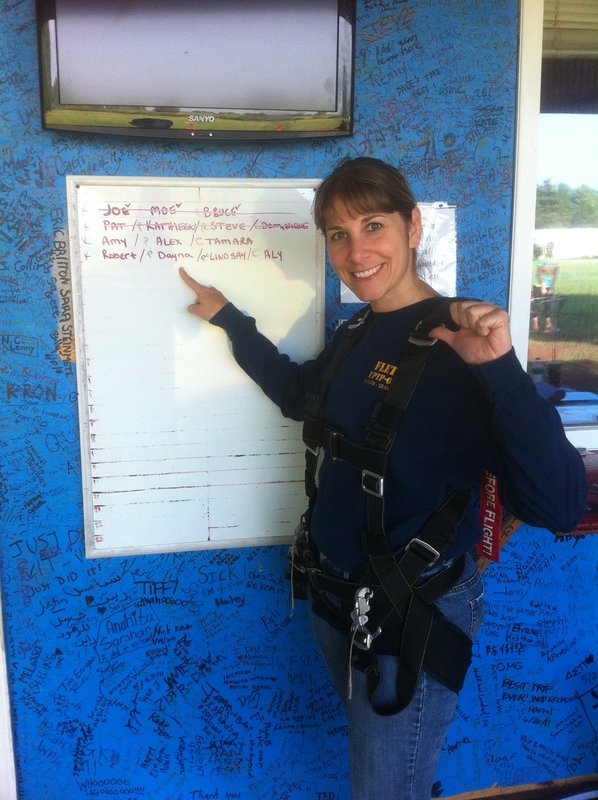 I didn’t really want to go through all of the hoops to get a personal certification in order to sky dive solo. No, I was perfectly content doing a tandem jump with a well qualified instructor. Let’s face it, the sensation of free falling would probably be the same regardless of whether or not there was a big man strapped to my back, right? And to be perfectly honest, going solo appears to give you an “out” to back out at the last second; I didn’t want that option. 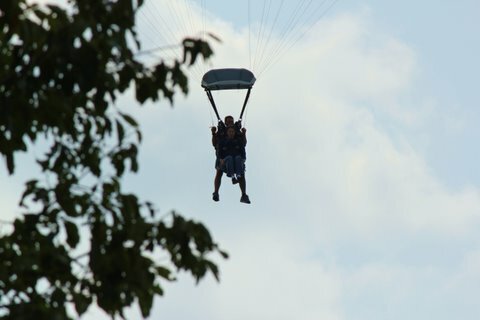 Going tandem relieves you of that moment of hesitation because the guy strapped to your back is jumping, and that means you are going with him. I was completely okay with losing that “out” because the thought of possibly backing out at that last second was just too embarrassing. 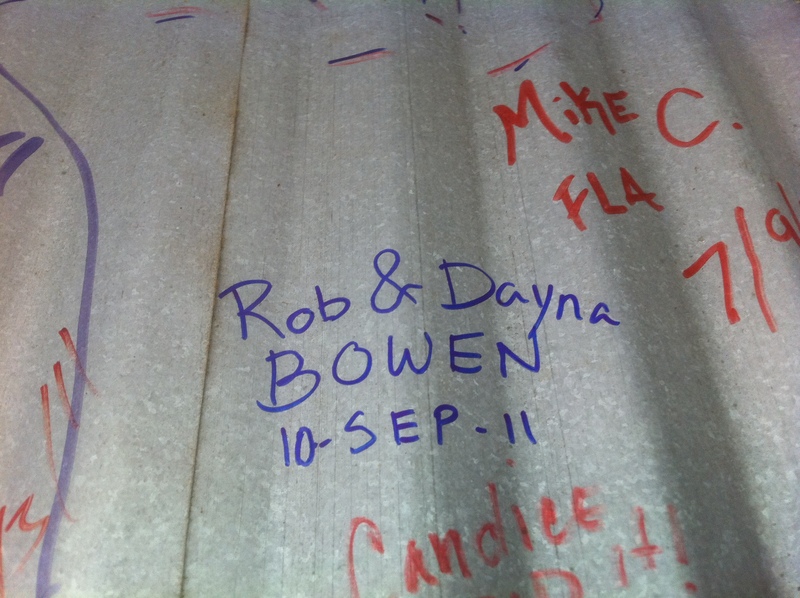 Rob was on board to try this with me, so in September of 2011 we went for it. We arrived at the sky diving location and my first thought was that things didn’t seem nearly as organized as I thought they would be. But I am an organization freak, so it is always hard to tell if my standards are just skewed. There were a lot of people in line ahead of us, so we were going to be waiting there for quite some time. Excessive waiting is always really good for calming the nerves! (Note sarcasm). Several hours later, it was almost our turn. Our names were finally on the board. We were harnessed up, and neither one of us was going to back out. Before we knew it, we were in the tiny little plane and we were taking off. I’m not going to lie…my nerves were through the roof! But I was determined to do this, so I tried not to think about it and just concentrated on breathing instead. Once we reached altitude, Rob was the first one out of the plane. Just a few seconds later I was out of the plane as well. 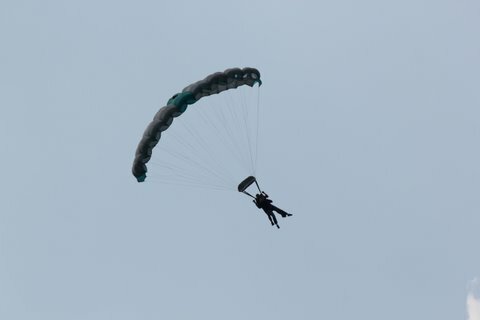 The initial feeling of free falling was indescribable. And with that much adrenaline pumping through my veins I probably wasn’t in the right state of mind to describe what I was feeling anyway. And then came the moment of truth…phew, my parachute opened! Knowing that I was NOT going to plummet to my death, I could then relax and enjoy the ride. It was truly exhilarating. Now comes the really scary part. 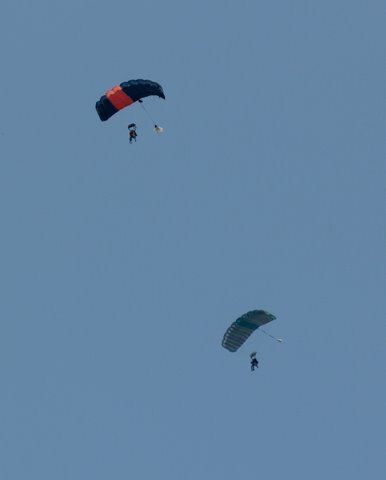 Below is a picture of both of our parachutes. 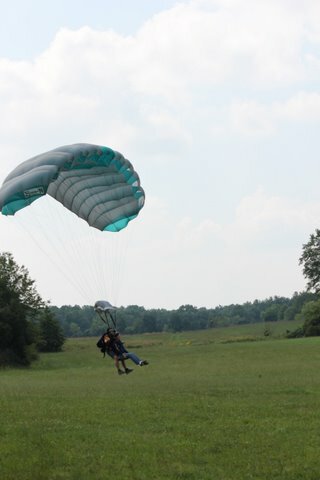 Rob’s parachute is the one on the left and you can see in this picture that his chute only opened 75% of the way! Um…what’s that old saying? Oh yeah…you get what you pay for! Note: probably not the motto you want intermingled with your sky diving experience. Despite this major SNAFU, Rob’s instructor was able to land them safely, but it was no easy task. The parachute was much more difficult to control, which meant Rob didn’t get the opportunity to navigate and do loops like I did. Rob knew that something wasn’t quite right, but he didn’t realize the specifics until we looked at the pictures. “Oh, that explains why he chewed out the parachute packers as soon as we got on the ground!” Once again, not something you want to hear while sky diving. We didn’t spend the extra dough to video our entire sky dive. Instead, we have this awesome amateur video shot by a fellow sky diver on the ground. The total time of our descent was probably around 10 minutes or so. This video only captures about the last 4 minutes of our descent. But prior to that, we were just two little specks in the sky anyway. When it was all said and done, we got to add our names to their wall. Next up…discount hot air ballooning! No seriously, we did that too. Posted on October 12, 2012 by Dayna B. If your vacation calendar is open you should definitely check out this deal. This vacation package includes airfare and 9 nights at 4 star hotels in Croatia and Slovenia for only $1699. Additionally, the package includes several meals, all transportation and several guided tours. Posted on October 11, 2012 by Dayna B. This is a fabulous deal on a 10 day cruise to Greece and Turkey from Rome for only $399!! Greece and Turkey are both on my Top Ten List of places I want to visit, but unfortunately the timing of this cruise doesn’t work for me. This price is only available for an October 31st departure which doesn’t jive with my work schedule. But if anyone else has flexibility around that time, this is a fantastic deal! Of course airfare is not included, but maybe you could find a great deal on that too. Posted on October 10, 2012 by Dayna B. When people travel, they collect all sorts of things. Some people collect magnets, some people collect shot glasses. Some people like postcards and some people like snow globes. Personally, I am not a fan of knickknacks. Clutter is my enemy. But I still like to have a keepsake of my travels, so instead of tchotchkes, I collect some form of art from my travel destinations. It could be a photograph that I have taken myself, or it might be a professional photo that I bought at a street market. It could be a watercolor painting that I bought from a starving artist, or it might be a print that I bought in a trendy shop. Regardless of the origination or style, the art will remind me of my trip and it will make me smile. The problem with these keepsakes is that I have traveled to many places and, therefore have a lot of framed memories. Unfortunately, I don’t have a gallery in which to display all of this art. What I do have however (thanks to my very handy husband), is a gorgeous basement bar and an idea for an “around the world” theme. What better place to showcase all these pictures? So then, what’s the problem you ask? The problem is that my handy husband does not approve of my wish to hang ALL of my keepsakes. He thinks I am “polluting” the walls. In all fairness, I have to say that I can at least understand where he is coming from on this one. I mentioned earlier that clutter is my enemy. To me, clutter consists of things on horizontal surfaces and if it is there, it will literally drive me crazy. This type of clutter doesn’t give my husband anxiety the same way it does for me. However, vertical clutter seems to affect him the same way horizontal clutter affects me. He really doesn’t approve of my cluttering up the walls with all of these travel photos…but they make me happy…so it’s happening. In my defense, I don’t clutter all of the walls in our home. I think it is safe to say that our walls are moderately decorated, with the exception of our office where both of us have cluttered the walls with our various degrees, awards, plaques, etc. So what, if we have one more room with “polluted” walls. It beats a room filled with snow globes, right? Posted on October 5, 2012 by Dayna B. Last month I posted about our trip to Colorado Springs and the terrifying drive to the top of Pikes Peak. Between the hairpin turns and the lack of guardrails, I was both literally and figuratively on edge for the entire trip. The drive back down the mountain was just as scary as we could see plenty of evidence of numerous traffic accidents. The curves that actually did have guardrails were incredibly banged up and the roads were lined with their fair share of rubbery tire tracks. As it turns out, there are a lot of idiots out there that actually race down the mountain! A friend of mine shared an online article with me that included a video of a car racing down the mountain and losing control around one of the corners without a guardrail. The car flips about a dozen times and is shredded to pieces, and somehow the occupants of the car that are clearly too dumb to breed, survived! I would be lying if I said I wasn’t at least a little bit disappointed that they survived, but I am so grateful that I was not on the mountain at the same time as these morons! Click here to see the video. Posted on October 1, 2012 by Dayna B. Anyone that can put up with all of my nonsense and different levels of “crazy” through 5 years of marriage definitely deserves a really fantastic anniversary gift. Yesterday was our 5th anniversary, so to make this one extra-special I surprised Rob with a 4 day trip to Iceland in November. Our trip includes a full day excursion to go on a glacier walk as well as search for the Aurora Borealis (Northern Lights). 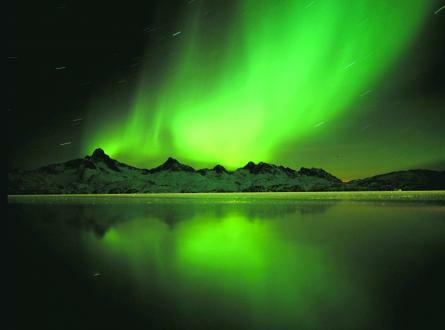 If we are lucky, we might get to witness one of nature’s most amazing phenomenons! The rest of our time in Iceland will be spent unguided, but there will be plenty of things for us to see and do! It will be fun to explore Reykjavik, relax in the Blue Lagoon, and travel through Iceland’s Golden Circle to see waterfalls, geysers and more. The funniest part of our anniversary gift exchange was Rob’s initial reaction to his “gift.” The traditional gift for a 5th anniversary is wood, so I decided to put a little message on a 2 x 4 and wrap that up as his gift. Coincidentally, Rob had literally just finished building a bar in our basement, so the last thing he wanted to see was another 2 x 4! As soon as he pulled enough of the wrapping paper off to realize it was a 2 x 4, he threw the wood across the room because he thought I was playing some kind of sick joke on him. I had been hyping up my gift for quite some time, so he assumed it was all just a false lead-up to me giving him a prank gift. After I got my laughter under control, I was finally able to convince him to open the rest of the gift so that he could read the message.